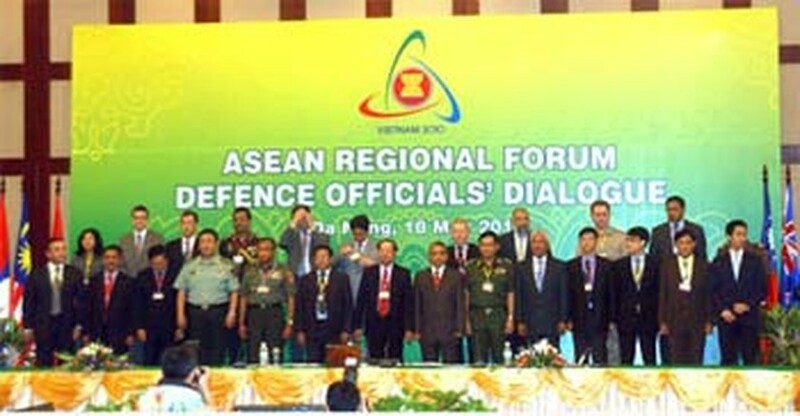 The ASEAN Regional Forum (ARF) Defense Officials’ Dialogue opened in the central city of Da Nang on May 18, focusing on a wide variety of issues ranging from defense to climate change. Forum attendees included representatives of 10 ASEAN countries and 17 ASEAN’s dialogue partners, including the US, Japan, China, Russia, India, the Republic of Korea, Australia, New Zealand, Canada, the EU, Papua New Guinea, Mongolia, the Democratic People’s Republic of Korea, Pakistan, Bangladesh, Sri Lanka, and Timor Leste. The 2-day forum discusses non-traditional security challenges, measures to coordinate the armies of ARF country members, disarmament, anti-terrorism, and the Taiwan Strait issue. Also on its agenda are the impact of the global economic crisis to the regional security, measures to respond to and mitigate of the impact of climate change, and some other international and regional issues of mutual concern. It also discusses measures to boost mutual understanding and trust in the military field among its members, in order to facilitate dealing with their issues of national security with the aim of fostering peace, stability, cooperation and development in both the Asia-Pacific region and the world. On the sidelines of the event, Vietnamese defense officials will have bilateral meetings with their counterparts from China, the US, Australia and New Zealand.